Why do like to display certain pictures in Black and White? One reason is to focus on certain part of the image where color doesn't really matter. By doing this, the viewer is not distracted by other parts of the image and is allowed to focus on the main subject. In the image above, we were hoping to show the details and texture of the bride's beautiful wedding dress. Not even her face is shown in this particular image. 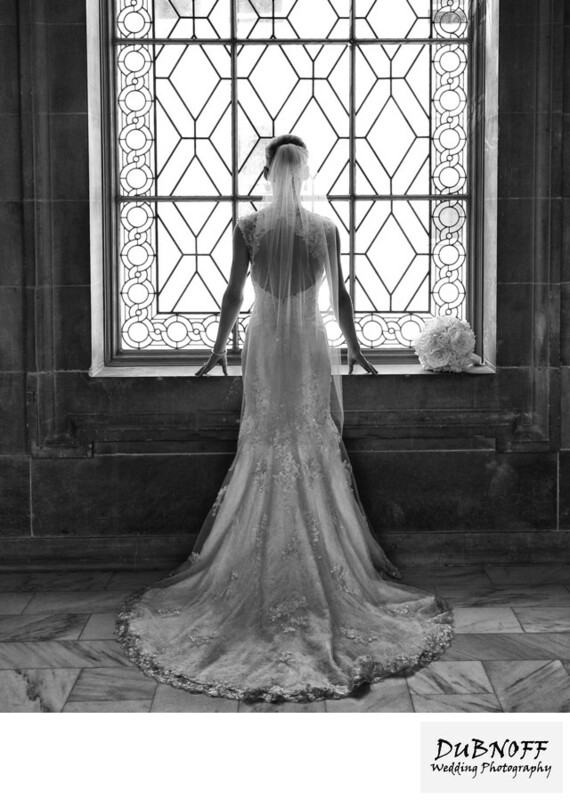 In my opinion, the use of black and white puts the wedding gown details in more focus. We also use black and white to display documentary types of City Hall images. This kind of provides a bit of an old newspaper effect. 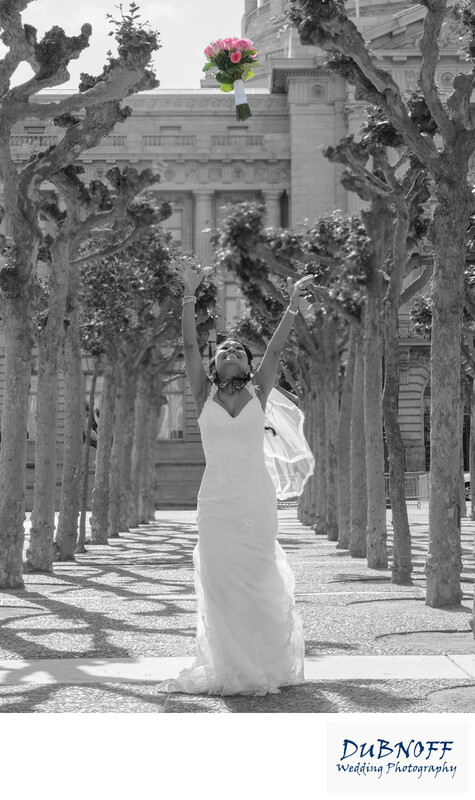 In the image below, we used black and white wedding photography to call attention to the bouquet being thrown in the air by the bride. When I originally photographed this image I noticed that the flowers kind of got lost in the detailed background. So to counteract this, I made the whole image black and white except for the flowers. As you can see, this makes it easier to see the main subject of the image.